Are you facing competitive challenges due to the lack of a CMMI-DEV v1.3 Maturity Level? Does your company have a current ISO 9000/AS9100C certification to serve as the foundation for implementing CMMI-DEV practices? Do you want to include manufacturing in the scope of the planned CMMI-DEV Maturity Level? Does your products or services organization struggle with planning and implementing growth goals with limited resources? Are you concerned about limited future business opportunities performing only as a subcontractor not as a prime? 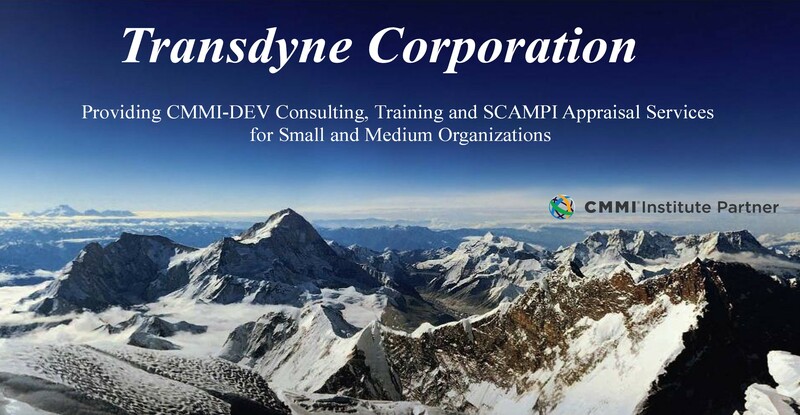 Click CMMI-DEV v1.3 Services for information describing the services we provide the small to medium sized business community with courses, SCAMPI appraisals and consulting. Click Contacts to understand the depth of our CMMI-DEV background and contact information. As a Transition Partner since 2006, our clients include commercial product lines and DOD and government development and service organizations. We tailored improvement activities to focus on reuse of existing processes to minimize cost and disruption. SM CMM Integration, SCAMPI, SCAMPI Lead Appraiser are service marks of the CMMI Institute.